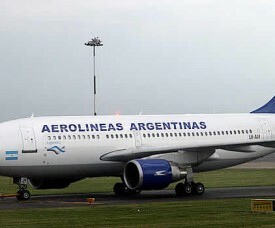 If you are European, and you would like to go to Argentina to begin a cultural adventure and study Spanish in Buenos Aires, here is some interesting information for you about choosing the best airline to Buenos Aires. How to get to Buenos Aires? When you are living in the UK, France, Germany, The Netherlands, Italy or Spain you are lucky, because the airlines listed below fly directly from all the capitals directly to Buenos Aires! Don’t worry if you live in another country, because all these airlines also offer connecting flights to the seven cities. Being in charge of the AMAUTA Volunteer Program, our volunteer coordinator visits the projects we work with on a regular base. 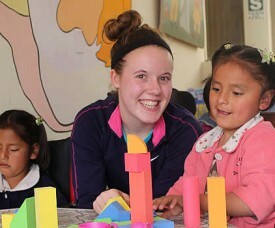 This to ensure the evaluate the participation of the AMAUTA volunteers in the different projects and to keep up with the developments at our volunteer projects in Peru. A few days ago, she visited the community of Tankarpata where one of the projects we work with takes place. This is an NGO created four years ago to support the development of this community. The NGO focusses on three main areas: education, health and development. At the moment, one of the most important projects carried out by their team is the reconstruction/renovation of the hydraulic system of the village, situated 40mn outside of Cusco by motorized vehicle. The objective of this project is to provide the 900 persons of the community with drinking water. Why is this so important? Nowadays, 95% of the children of the community are infected with parasites because of the water. As we know children are our future and the development of the community becomes reality though their education. Yet, how could this happens when all children are sick? Also, the parasites touch everyone, of any age, and make affected people’s immune system more vulnerable in front of any kind of disease. While visiting Cusco you’ll see plenty of shops all around the city and vendors scattered all around the streets; Many offering handcrafts, jewelry, art and different kinds of food as well. If you’re looking for shopping and you’re on a budget, you’ve come to the perfect place. 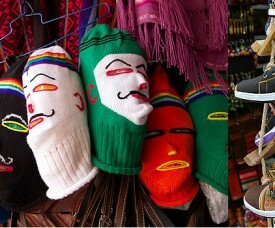 Haggling here in Cusco is not only accepted, it’s expected and it earns their respect. While most items may already appear inexpensive they are marked up because of the expectations of price reductions and let’s face it, tourists mean money for the locals here in Peru. It is possible to save more money here while simultaneously practicing your Spanish language skills. The San Pedro market located just two blocks north of the Plaza de Armas is one of the earliest markets in Cusco. Formerly known as Central Market, San Pedro is full of culture and good treats to eat. With tons of fresh produce, bread, meat, eggs, cheese and other grocery items many locals and tourists alike frequent this particular market. There are several small juice, donut and lunch cafés through out the market as well. San Pedro also offers many hand craft vendors to check out as well.